Athens and London: University of Georgia Press, (2011), 2011. 1st Edition . Hardcover. New/New. Square 4to. pp. xv, , 4-261. Highly Illustrated. 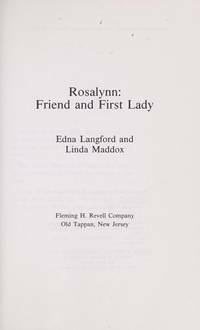 First Edition, First Printing with the "1" in the number sequence of the University of Georgia Press edition. Earlier editions were published by Hill Street Press and Sports Publishing LLC. Dust jacket is protected in a new mylar sleeve. No former owner's names or marks. This is a very handsome, brand new, gift quality copy. Perfect condition. Superior Printing Company Inc, 1983. 1st Edition . Full-Leather. Near Fine. Folio - 12 1/2" tall. Unpaginated. No date, but lists members of the club through 1982. Illustrated. Book protected in new mylar. Binding is very slightly rubbed. No previous owner's names or marks. Centennial Edition of the history of The Nine O'Clock Club. The club was formed in 1883 as the Nine O'Clock German Club. Club's membership roster has been regarded as one of the most impressive listings of prominent personalities in the city of Atlanta. Include a history of the club and hundreds of photos of members and their events mainly from the 1920's to 1982. An attractive, scarce book. Georgia Museum of Art, 2011. Hardcover. As New/As New. Folio. 263 pages. Illustrated in color. Published in an edition of one thousand copies. Dust jacket protected in a new mylar sleeve. Focuses on nineteenth and twentieth-century works with insightful essays on each work. A beautiful, unmarked, like new, gift quality book. New York: Smith & Durrell, (1942), 1942. First Edition . Hardcover. About Very Good/No Jacket. 8vo. pp. xxvi, 266. Illustrated, fold out map. Protected in mylar. Light spotting on front cover, former owner's name and date on front free end paper, minor ink underline on page 29, otherwise a solid copy. Atlanta, Georgia: Harmony House Publishers, 2001. 1st Edition . Hardcover. Fine/Fine. 4to, (11 3/4" tall). 112 pages. Illustrated. Signed by the photographer on the title page. Dust jacket protected in a mylar sleeve. This book is a presentation copy from the Westminster Schools to a trustee in celebration of the 50th anniversary of the Westminster Schools as noted in a book plate attached to the front free end paper. Over 100 photos in full color. A very clean, gift quality copy of a scarce signed title. Athens: University of Georgia Press, (1969), 1969. Hardcover. Near Fine/Near Fine. Thick 4to. Vol. I, pp. xxi, 964. Vol.II, pp. 1070. Illustrated. Facsimile reprint of the 1954 edition. Dust jackets of both volumes protected in new mylar sleeves. The definitive history of the Atlanta area from the time of its first settlements in the 1820s through 1950s. This two volume set includes their original scarce dust jackets in near fine condition, volume one having a 1" closed tear and an 1/8" chip. No former owner's names or marks, a very clean, attractive, gift quality set. Atlanta, GA: R. J. Taylor, Jr. Foundation, 1993. 1st Edition . Hardcover. Near Fine. 8vo. pp. x, 508. Illustrated with maps. Also included is a large (about 16" by 20"), reproduction fold out map of Campbell County, Georgia dated 1925. Book is protected in mylar. A very clean copy with no former owner's names or marks. An uncommon book. Atlanta, Georgia: Longstreet Press, (1989), 1989. First Edition, First Printing . Hardcover. Fine./Fine. 4to. pp. vii, 182, . Illustrated in color and black and white. Dust jacket protected in a mylar sleeve. Inscribed by both authors to "Alan" and dated in 1989. A gift quality copy. Old Tappan, New Jersey: Fleming H. Revell Company, (1980), 1980. Hardcover. Fine/Fine. 8vo. 160 pages. Illustrated. 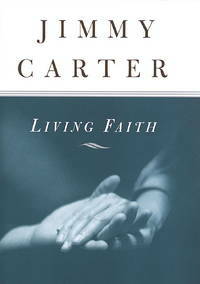 Inscribed and signed by Rosalynn Carter to a friend on the front free end paper. Also signed by both authors on the front free end paper. Dust jacket protected in a new mylar sleeve, not price clipped. The slightest of bump at the top of the spine. A signed collector's copy in fine condition. New York: Prentice-Hall, Inc., 1954. 1st Edition . Hardcover. Very Good Plus/No Jacket. 8vo. pp.viii, 1-344. Illustrated. The book is in solid, tight, square, clean condition with the slightest of tanning on the end papers. Protected in new mylar. 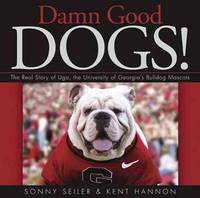 By the famous, legendary, Georgia Tech head football coach. Atlanta, Georgia: Adair Realty & Trust Company, 1926. Soft cover. Very Good/No Jacket. 8vo. pp. xii, 128. Two fold out maps. Single page maps throughout. Book protected in new mylar. Slight creasing on the front cover. Minor wear at the corners. Interior of book is clean, no previous owner's names or marks. 128 pages of maps show most Atlanta neighborhoods. Index fold out map helps locate detailed single page maps. Second fold out map is of a 1926 road map of Atlanta and vicinity. Colonel George W. Adair formed the first real estate firm in the South. In decent condition for a fragile soft cover. Rare. Garden City, New York: Doubleday & Company, Inc., 1976. 1st Edition . Hardcover. Near Fine/Very Good Minus. 8vo. 176 pages. Illustrated. Dust Jacket protected in mylar. Signed by Pepper Rodgers on the free front end paper, signed only, not inscribed to any individual. Dust jacket has a 1/4" by 1/2" chip at the top of the spine, some minor edge wear and is not price clipped. Book is very clean. A scarce signed copy by the former Georgia Tech football coach. Atlanta, GA: Constitution Publishing Co., 1892. 1st Edition . Hardcover. Very Good/No Jacket. 12mo. 232 pages. Book protected in mylar. Binding has minor corner wear, but is original, tight, solid, and square. Previous owner's name is stamped on the free end paper. Interior of book clean. A scarce first edition of a 19th century Atlanta, Georgia imprint. Times Books: Random House, 1996. 1st Edition . Hardcover. Fine/Fine. 8vo. 256 pages. Dust jacket protected in a new mylar sleeve. Boldly signed, "J Carter" on the front free end paper. A tight, clean, unread copy. Garden City, New York: Doubleday & Company, Inc., 1969. 1st Edition . Hardcover. Fine/Near Fine. Small 8vo. 69 pages. Illustrated. Stated First Edition. Signed by the author on the front free end paper. Not inscribed to anyone, signed only. Dust jacket protected in a new mylar sleeve, not price clipped. Special white gift binding. A very attractive, gift quality copy. Atlanta, Georgia: Atlanta Historical Society, 1977. 1st Edition . Hardcover. Very Good/No Jacket. 4to. pp. , 208. Illustrated. Maps. Book protected in mylar. Other than a small round (3/4") shadow on the front free end paper where a sticker may have been removed, the book is very clean, no previous owner's names or marks. Covers Atlanta streetcars and trolleys. This is only volume two of a two volume set. A very scarce copy. New York: Random House, 1987. 1st Edition . Hardcover. Near Fine/Near Fine. 8vo. pp. xvii, , 4-198. Signed on the front free end paper, "Best Wishes! Jimmy Carter & Rosalynn Carter". Signed only, not inscribed to anyone. Dust jacket is protected in a new mylar sleeve, not price clipped. 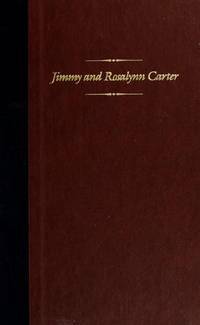 Signed by the former President and First Lady with large bold autographs and with a full "Jimmy Carter", not just "J Carter". A very clean copy, no former owner's names or marks. Bloomington & London: Indiana University Press, (1979), 1979. First Edition . Hardcover. Near Fine/Near Fine. 8vo. pp. x, 267. Illustrated. Dust jacket protected in a mylar sleeve and is not price clipped. Book is solid, clean, slightest of fore edge tanning, no former owner's names or marks. Was conductor of the Robert Shaw Chorale and Atlanta Symphony. A real nice copy of the first edition. New York: Random House, (1987), 1987. 1st Edition . Hardcover. Fine/Fine. 8vo. pp. xvii, , 4-198. Signed on the half title page by both the former President and First Lady, signed only, not inscribed to anyone. Dust jacket protected in a new mylar sleeve, not price clipped.